Jan. 12, 2017, 10:16 a.m.
By Ricardo Bilton @rbilton Jan. 12, 2017, 10:16 a.m. In his 20-year career running corporate communications for big health insurance companies, Wendell Potter can’t remember outright lying to reporters, but he certainly came close. At Cigna and Humana, a big part of Potter’s job was to shape stories, which he did by subtly influencing reporters and, when useful, withholding inconvenient information. His tenure in the industry, which ended when a crisis of conscience pushed him to quit his job at Cigna in 2008, showed him the lengths big corporations can go to get what they want. Now, Potter is trying to use what he learned in the health insurance world to launch Tarbell, a reader-funded reporting project that aims to shine a light on how large companies and lobbyists influence the way government does business. Rather than focus on the politicians, as many news organizations do, Tarbell is set apart through its focus on the figures behind the scenes influencing politics through their contributions. The project builds on the past decade of Potter’s career as an outspoken voice for healthcare reform, a consumer advocate, and an analyst for the Center for Public Integrity. Tarbell (named after early muckraker Ida Tarbell) is set to launch this summer, mostly using freelancers and contractors. While the site is courting foundations and big donors, its goal is to get the bulk of its funding directly from readers, starting with a crowdfunding campaign this spring. In the meantime, the site has built up an impressive list of advisors, including David Boardman, the dean at Temple University School of Media and Mass Communication; MediaShift founder Mark Glaser; MIT Center for Civic Media director Ethan Zuckerman; and Tim Griggs, the former publisher of The Texas Tribune. Tarbell wants to help fill that gap, not only by helping to cover these local concerns itself, but also by partnering with national organizations that are already doing so. “The corruption that we’re going to write about isn’t just at the federal level. It’s not just about influencing federal elections. It’s at all levels of government, so I want it to encompass that,” Potter said. Potter says that Tarbell won’t do advocacy journalism and has no plans to take specific stances on the topics it will cover. Instead, the goal is to expose readers to the issues and connect them with organizations and people who are working on them. Tarbell will also resist promoting specific solutions to problems, instead covering a range of proposed solutions and explaining the strengths and weaknesses of each. Tarbell plans to focus on a handful of specific areas, including healthcare reform and criminal justice. Beyond covering the influence of money in politics, a big part of Tarbell’s approach will be highlighting successful efforts to fix the problems. In 2014, for example, voters in Tallahassee, Florida, voted to amend the city’s charter with new ethics rules meant to limit the influence of money on local politics by capping campaign contributions at $250 per donor. In November’s election, a number of states passed ballot initiatives meant to address the influence of money in politics. 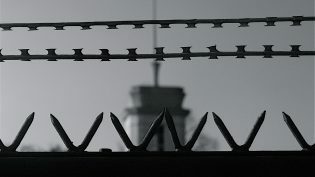 This solutions-driven approach is shared by the likes of the Philadelphia Reentry Reporting Collaborative and The Seattle Times’ Education Lab, both of which have made covering solutions core to their missions as covering problems. 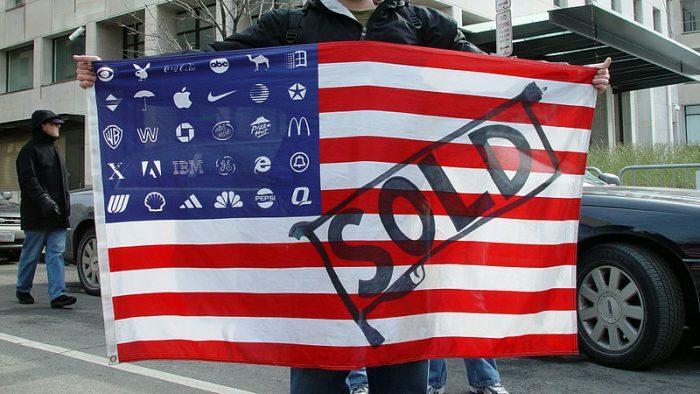 Photo of the American Corporate Flag by Jonathan McIntosh used under a Creative Commons license. POSTED Jan. 12, 2017, 10:16 a.m.
Bilton, Ricardo. "Tarbell, launched by an ex-health insurance exec, will focus on corporate cash’s political influence." Nieman Journalism Lab. Nieman Foundation for Journalism at Harvard, 12 Jan. 2017. Web. 19 Apr. 2019. Bilton, Ricardo. "Tarbell, launched by an ex-health insurance exec, will focus on corporate cash’s political influence." Nieman Journalism Lab. Last modified January 12, 2017. Accessed April 19, 2019. https://www.niemanlab.org/2017/01/tarbell-launched-by-an-ex-health-insurance-exec-will-focus-on-corporate-cashs-political-influence/.